Riesling Downunder took place recently in Melbourne, Australia providing the perfect opportunity for trade and consumer alike to sample a wide range of Riesling from around the world. I had the opportunity to sit down between events with Hunter Smith of Frankland Estate, one of the founders of this Riesling celebration. Riesling Downunder can be traced back to the Frankland Estate International Riesling Tasting (FIERT), established in 2001 by Judi Cullam and Barrie Smith of Frankland Estate. Although Frankland Estate is located in the Great Southern GI on the west coast of Australia, the first event was held in Sydney and attracted good support from the industry. As interest in Riesling continued to gain momentum the opportunity to work with Dr. Loosen, the VDP Rheingau of Germany and Chateau Ste. Michelle of Washington State presented itself, thus the Riesling Coalition was born and its first event held in 2009. This year’s event in Australia was presented by the Riesling Coalition together with renowned Riesling producers; Pikes Wines and Jim Barry Wines of Australia and New Zealand winery Framingham Wines. The Riesling Coalition present an event each year with the location alternating between Australia, the USA and Germany. Each one offers a different experience to producers and attendees ensuring the event remains dynamic and relevant to the industry. 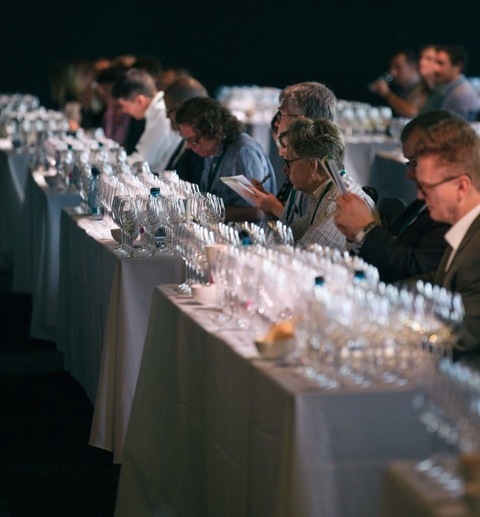 Australia’s event, Riesling Downunder, has attracted a clutch of experts including Jancis Robinson MW and Stuart Pigott for the 2012 event in Sydney with Stuart returning for 2015 and being joined by Tim Atkin MW to name but a few. Despite growing in size, one constant has been the underlying philosophy of promoting and celebrating Riesling rather than promoting any particular brand or style. The extensive list of producers from around the world together with masterclasses covering a variety of topics reinforces this. A welcome addition to the event was an extra day devoted to the public. Entitled Riesling Riot and building on the success of the 2012 consumer tastings, things kicked off on Sunday afternoon with suitably sunny skies and a waterfront venue down at the Docklands. Needless to say the oysters on offer were very popular and a perfect way to showcase the many styles of Riesling available. The public didn’t disappoint with record numbers in attendance. In addition to increased customer interest the all important industry support is continuing to develop with Riesling finding a place on more wine lists and members of the hospitality industry excelling in their role as brand ambassador for this chameleon of a grape. The next opportunity for you to embrace your inner Riesling Rioter and take part in one of these events is the USA event – Riesling Rendezvous – which is set to take place during June 2016 in Seattle. Following that will be the German event in the Rheingau in 2017 and then back to the Southern Hemisphere for Riesling Downunder 2018 in Sydney. Finally, Hunter’s musings on Riesling nicely summed up the mood of the event; “If you were stuck on an island with one varietal, (because) you can drink so many styles … I think it would have to be Riesling” and I certainly concur!